When mom starting volunteering for our local humane society, she had no idea about feral cats or TNR or anything like that. Fast forward to today and she volunteers with a local group that started out doing TNR and remains firmly committed to that as their primary objective. And in that time mom has helped TNR 9 cats on her own and with the help of a neighbor and picked up 12 kittens that have been fostered and adopted since then. (including our Junior boy) We are also lucky that we have a local low cost spay/neuter clinic that is feral friendly - they will take cats in live traps and do surgery same day. 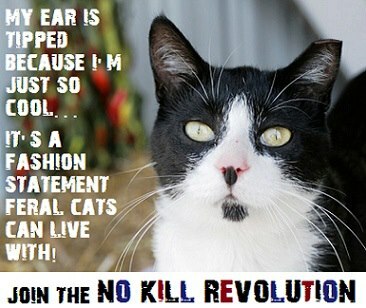 Also, check out the No Kill Revolution information on the Best Friends website. Find a local TNR group and offer to help....most need volunteers to feed colonies or pick up and drop off cats in traps for surgery. Or donate...they need money for food and for live traps. Want to donate a trap to them directly? Check your local farm store (we know Tractor Supply has them) or online (we found one at amazon). It can be hard but rewarding. Mom says that if you do this long enough, there is little more satisfying than coming up to a trap you have set and finding a cat in it (not as satisfying to find a raccoon or opposum that you just have to convince to get back OUT of the trap - MOL). And check for the ear tip...that is a sign that your "stray cat" is actually part of a colony that has already been spayed or neutered. in the garage for her breakfast. She would be killed in a shelter...and deserves better than that. Which is why we provide her food and a place to live and our protection. feral mom who has now been spayed and released. When I first heard of TNR, I thought it was such an amazing idea. It's a whole different way of working with feral cats. Our local shelter has an interesting related idea: they adopt out barn cats. These are cats who would not adapt well to life in a home. But they still need access to warm shelter, food, water, and necessary vet care. Rural residents adopt barn cats to live in their stables and out buildings where they can get human support while still retaining their independence. As you can be sure, all barn cats are spayed or neutered before being adopted. we love those programs. we have something similar with our rescue - we just wish we had more farms/barns stepping up. Our Mom cannot believe she forgot that today is Feral cat day. She will do something tomorrow. 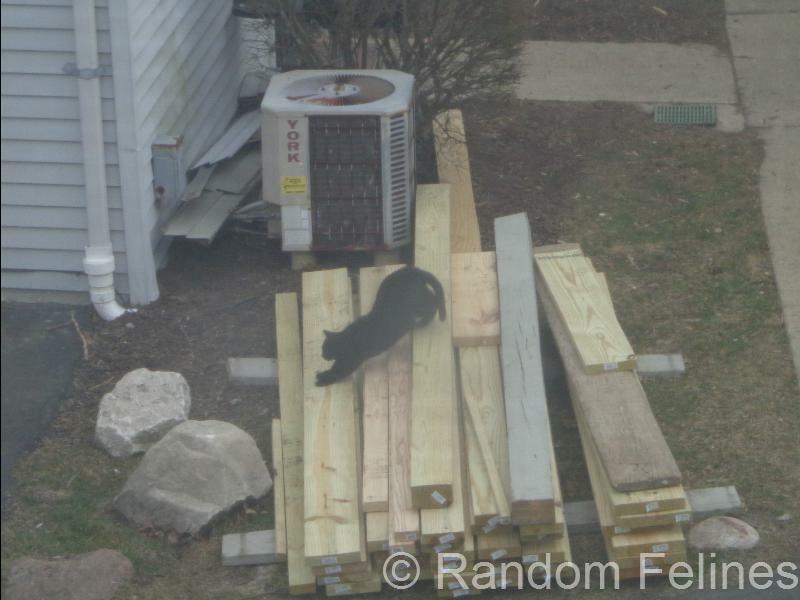 She is such a slacker.There is nothing more rewarding than getting a feral cat to trust you. It takes a lot of time. Thanks so much for your purrs for Mew Mew. She still isn't eating darn it all. Coral's mom is going to have a healthier, happier life because of people like you! It is so important for all of us to be the voice for feral cats - today, and every day. grate post two day guys & meowloz two ewe allie...hope ewe R doin grate...been a while sinz we "saw" ya !!! It is so important. I remember back in the days before the internet when it was all word of mouth. Aw, thanks to your mom for helping the feral kitties. We purr that more and more people will learn about TNR and how they can help. 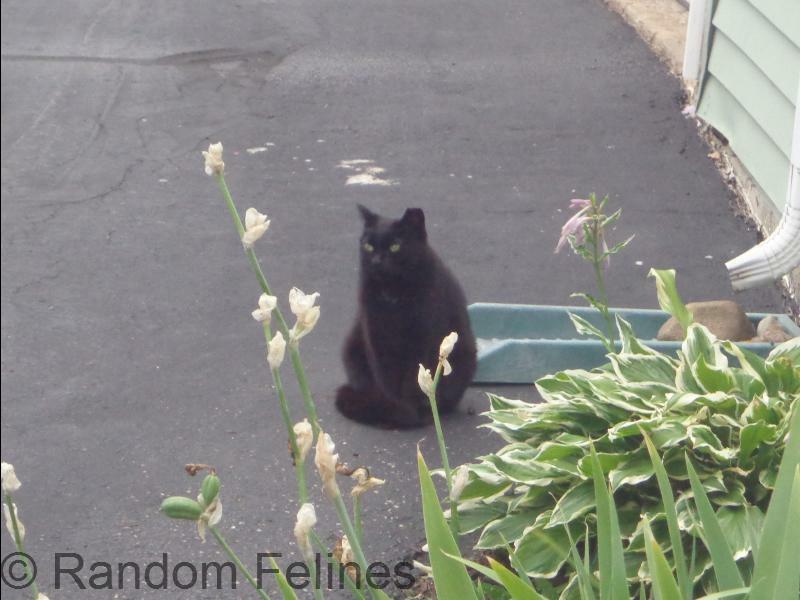 We do love all of the feral kitties, especially the sweet ones we see every single day. Your Mom is awesome for helping with the feral kitties. Allie looks well fed and happy as a feral in your local colony! We love your mom for doing so much for the ferals! 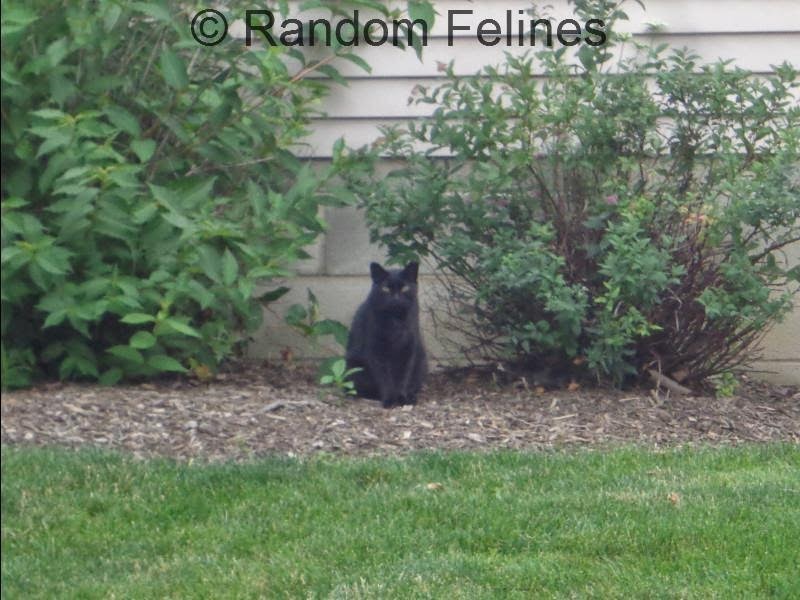 Thank you for such a great post for Feral Cat Day! I do know what you mean by the satisfaction of trapping a cat. We do such important work, reducing suffering in our little friends. It took us two years of spay/neutering 34 cats before we achieved zero population growth.Thanks for all you do for the homeless. We had forgotten the ear tip ! Paws up for your mom for helping feral kitties ! Good advice ! Great facts about the success of TNR! Feral cats deserve a good life too. Thanks for all you do.